Because NeeNee is crazy and doing another daily drama. I like to torture myself. Don’t worry, I’ll keep plugging away at Smile, Donghae as well. These recaps will come out as fast as I am able so I don’t get behind again as badly as I did with Smile, Donghae. After a dramatic opening sequence, the drama officially starts with Lee Min Jae [Heo Tae Hee] telling his wife not to worry as when they get home, his mother will treat her differently, treat her better. Min Jae also vows that he will never disappoint her again. His wife, Yoon Mi Soo [Park Sun Young], then begins narrating. She married a man who really loved her more than anybody else in the world. She believed he would love and care for her for the rest of her life. Unfortunately, that wasn’t how things turned out. Debt collectors came knocking, her mother-in-law kicked her out of the house, and to make matters worse, her husband had an affair. She had really wanted to believe in this man. Family, happiness, love—all of it was lost. 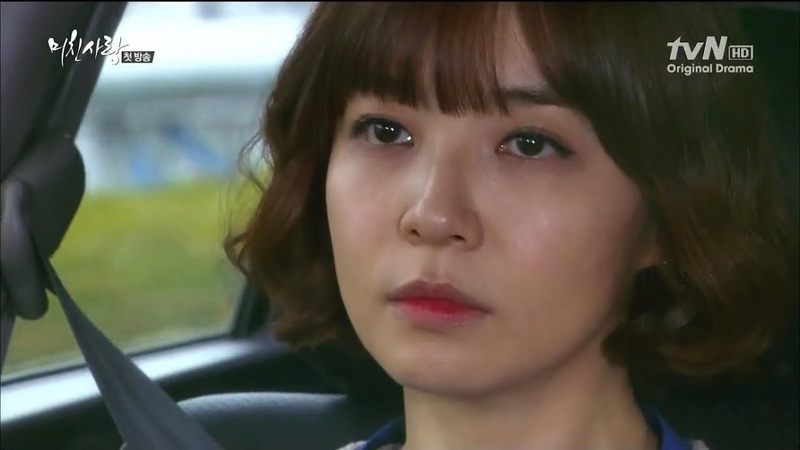 We then cut to Seo Kyung Soo [Go Se Won] in a car with his wife Oh Hae Ryung [Kim Hae In]. Hae Ryung is telling Kyung Soo not to think he is emigrating because of her. If they didn’t do this, does Kyung Soo think her father would leave him alone? Hae Ryung is giving him one last chance, so he had better not leave her again. Now it’s time for Kyung Soo’s narration. He married a woman that he did not love, but he did his best to try love her. She, of course, is one of those crazy, possessive, jealous females who acts like a psychopath and will stop at nothing, not even bodily harm or getting her and the man she loves killed, to get what she wants. He had believed marriage was like this and he’d have to endure it, but then he met her. Her who? He met Mi Soo of course and his thinking began to change. They accidentally bumped into each other when a man on a scooter nearly ran Mi Soo over. Kyung Soo was there to catch her. He then saw her happily playing with the children from the orphanage. 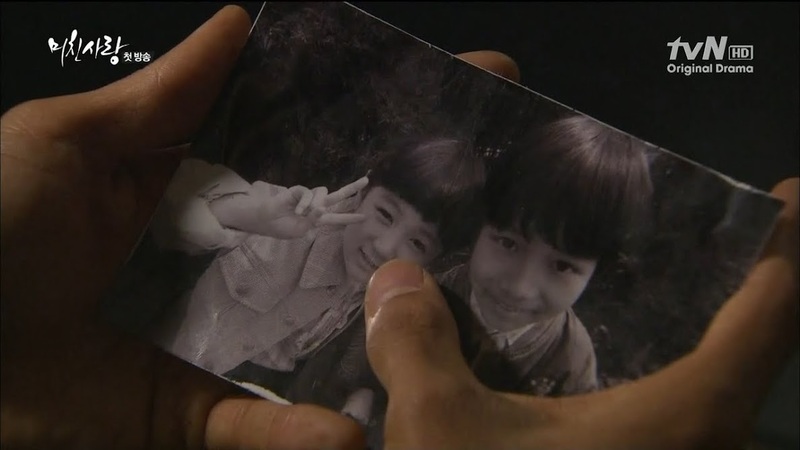 The orphanage’s caretaker says that people normally try to hide the fact they are from an orphanage, but Mi Soo didn’t. She had a truly good heart. My heart started to pound for the first time. So while Min Jae is taking Mi Soo home and Kyung Soo is getting ready to emigrate, their two cars pass each other and of course they notice this. Amazing, isn’t it? We then cut to a scene where Mi Soo expressed thoughts of running away and Kyung Soo asked her to go with him. Mi Soo replies she wouldn’t hesitate if that day was the day of doom. Back in the present, Kyung Soo brings the car to stop and Mi Soo demands her husband stop as well and he actually does. The two then get out of their respective cars and begin running towards one another and embrace. Yowza. I guess we’ll then rewind to the beginning to see how we get to this scene as these dramas really like to do such things. When they thought they were being abandoned…he…she…found each other. Mi Soo is biking along and is nearly hit by Kyung Soo. Her bike careens out of control and she smashes into a wall and falls off. Kyung Soo rushes out to help her and Mi Soo complains that her groceries are ruined. She’s supposed to be making cookies for “her kids.” She looks over at Kyung Soo and says he must thing she’s being trivial. He’s clearly at fault, you know. What do you call it? Traffic law states that if a car hits a bike, it’s always the car that’s at fault. LOL. She may be making that up and I think Kyung Soo knows it. The two stand up and Kyung Soo asks if Mi Soo needs to go to the hospital. Of course, Mi Soo doesn’t want to go to the hospital, she just wants Kyung Soo to compensate her the expenses and travel costs. 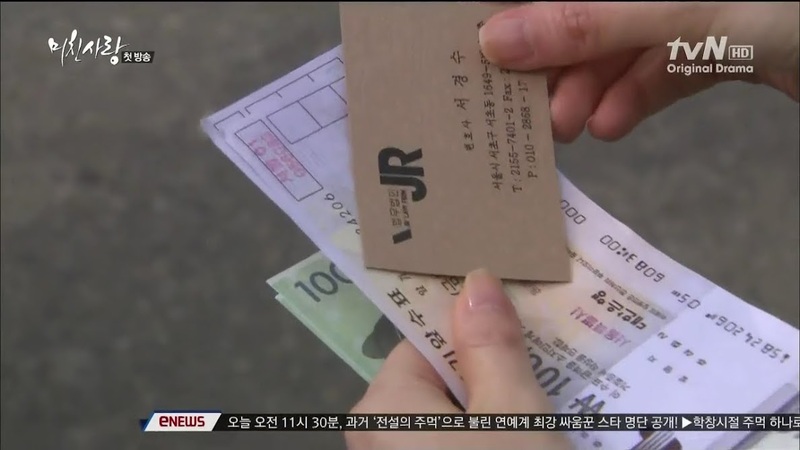 Kyung Soo hands over some money and then his business card which shows he’s a lawyer. Whoops. Mi Soo goes home all embarrassed. If he was a lawyer, he should have just said so from the beginning. She then wonders what traffic law 17-2 really is. LOL. She then gets a call from her father [Maeng Sang Hoon as Yoon Moon Do] thanking her for the money, but scolding her for sending it to him as he’s afraid she’ll get in trouble with her mother-in-law again. He then says he’s fine and there’s no need for her to worry. Mi Soo then asks if the debt collectors have come calling again. Her father assures her they haven’t and that he will run away if they do. He then apologizes to her. Even though she has married a rich man, she doesn’t get a single penny to spend for herself. When he adopted her, this was not what he had envisioned for her. It’s all his fault. Mi Soo says that Yoon can’t say anything like that as they are family. She then asks how her little brother Chan Ki [Kang Seo Joon] is doing. Yoon assures her he is fine as well. Is he doing his treatments like he’s supposed to? She will be sending the money for the hospital by the end of the week. She then assures Yoon that she fine and hangs up. Min Jae is on the phone with his mother [Yoo Hye Ri as Heo Myung Ja] who talks about how picky Americans can be. Min Jae assures her that he has set up only the best for the Americans, but his mother isn’t satisfied. Min Jae should be there and taking care of everything personally. Min Jae says he cannot go as he promised Hae Ram he would do something for her. His mother doesn’t care as she doesn’t like that child anyways. Poor little girl. 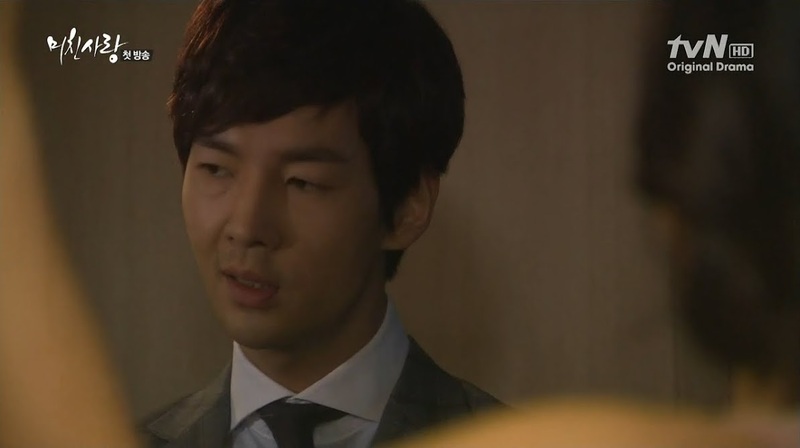 We then see Min Jae going to a hotel room where he looks very unhappy at the scantily clad woman who answered the door. Is this is mother’s doing or the American’s? Min Jae’s mother then pays a visit to Mi Soo where she complains about Mi Soo becoming infertile after only bearing a daughter. Such bad luck for the Lee family. Since Mi Soo came from no family, shouldn’t she want to have a lot of kids? How can she be like this? Um…she has no control over being infertile after bearing only one child. Such a horrible mother-in-law. I don’t see why it’s a bad thing if a man leaves a company to a daughter. Stupid patriarchal societies. Isn’t it funny, though, how in these dramas, it’s a mother always pushing for a grandson and not necessarily the father? Min Hae’s mother sees leaving a company to a daughter as preparing a dish for someone else. A woman can run a company without a man. Eyeroll. Of course Mi Soo apologizes for the lack of a male heir. She shouldn’t have to apologize. And, of course, her mother-in-law doesn’t accept this as an apology can’t fix the problem. Min Jae then comes in and his mother immediately springs to her feet. Why is he home so early? Did he go see James? Min Jae says that he did. Did it go poorly? Min Jae says he returned home early as James was acting inappropriately to the point Min Jae couldn’t stand it. Min Jae then says she can’t keep doing these kinds of things. HIs mother sits down, faint. How could he act like that towards her? Out comes their adorable little daughter Hae Ram. Min Jae quickly scoops her up and apologizes for being late for their date. Mi Soo then asks if he’s had dinner. Of course, it’s already late. He then tells Mi Soo to wrap things up and come join him and their daughter in playing with blocks. This makes Mi Soo smile happily while his mother glares. Aigoo. We then cut to Oh Tae San [Lee Hee Do] bawling out Baek Jae Hyuk [Choi Dae Hoon] as the collections for the month only equaled about 70%. Baek stands stone still while Oh pushes him around and tells him to go bark or go bite. 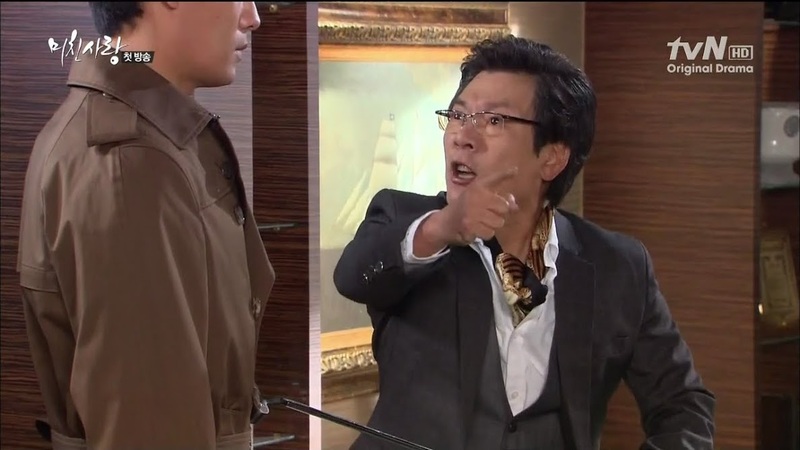 It’s really kind of amusing to see the small Lee Hee Do bullying the much larger Choi Dae Hoon. Enter Kyung Soo and Oh sends Baek out. The two sit down and Oh asks if it’s 100%. Kyung Soo says it is and that his father-in-law doesn’t have to worry any more. Oh chortles about how no one earns money the legal way and how can they blame him for that one small bank’s bankruptcy. He then changes the topic to his daughter. It’s hard being with Hae Ryung isn’t it? She’s immature since Oh raised her as a precious treasure. Oh, she’s precious all right. Preciously psychotic. He then asks Kyung Soo to compromise a bit with his daughter since he’s good at everything. Oh then says that he has never thought of Kyung Soo as his son-in-law, but as his son. You know what that means right? Oh also asks for some effort on Kyung Soo’s part in making him some grandchildren before the years is out. 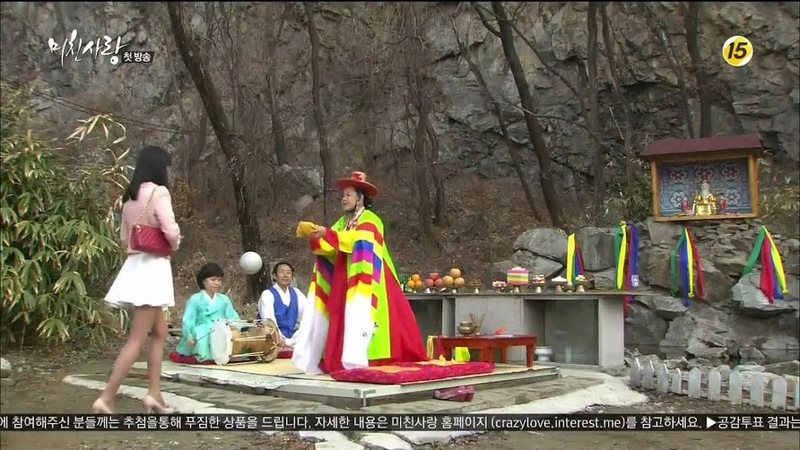 Hae Ryung is at a fortune teller’s praying. She is getting a charm to ensure that Kyung Soo never looks at another woman and finds her pretty or cheats. What an insecure person. Hae Ryung goes back home where she zips the talisman up in Kyung Soo’s pillow. Her mother then comes in and Hae Ryung quickly hides what she was doing. Her mother says that now that the kids have moved back, they should be able to take things easy and work on their marital problems. Hmmm…is buying charms counting as a method to save a marriage? Mi Soo is preparing for a party while her mother-in-law gets an expensive present from Han Na Young [Kim Yeon Joo]. Her Myung Ja definitely treats Na Young much better than her daughter-in-law. Na Young pins the broach on Myung Ja who says she is jealous of whoever gets Na Young for a daughter-in-law when Min Jae enters. He looks surprised to see Na Young there. Myung Ja says that she invited Na Young since her marketing plan helped raise the company’s sales. Myung Ja then leaves followed by a beaming Na Young and an unhappy-looking Min Jae. Wonder why he doesn’t like Na Young? Baek is in a car on the phone to president Yoon saying that they do not operate a charity. There is a limit to how much they can tolerate. Yoon wonders how much more these collectors are going to take. They already have his candy factory and 4 times the amount borrowed. 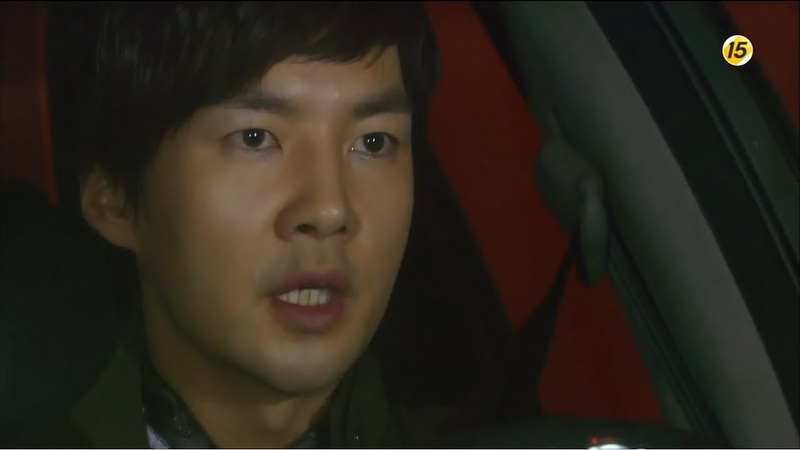 Yoon then gets a shock when he hears where the collectors are going. Myung Ja blows out her birthday cake candles and the party starts. 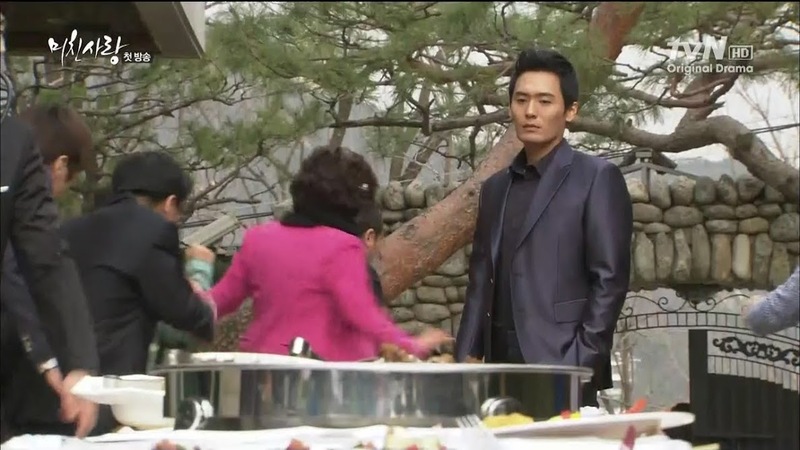 Na Young looks unhappily at Mi Soo who is busy running around taking care of things. Min Jae tells her to get something to eat, but Mi Soo refuses until everything is over. We cut to a scene in the past where a young Mi Soo was riding a bike playing with a young boy while Na Young looked on unhappily filled with jealousy. Hmm. I’ve been watching a lot of shows with these jealous orphan themes of late. Okay. Just two. And they happen to be Thai dramas that have surprisingly identical story lines with only a few minor differences. Na Young things to herself that Hong Eun Joo [Mi Soo’s original name] is standing where she is supposed to be and all the things that Mi Soo has is supposed to be hers. Right. 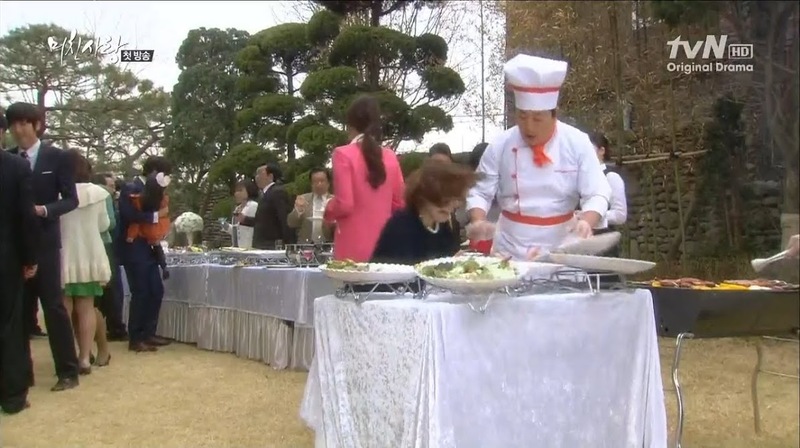 Mi Soo goes over to talk to the chef when Na Young sticks out her foot tripping Mi Soo and sending her crashing into the chef’s table. Another great reason for Myung Ja to hate her daughter-in-law. Min Jae rushes over to see if she is okay and Myung Jae comes over to immediately bawl her out for being such a klutzy person. She orders her daughter-in-law to hurry and change and bring out some more punch. a Young happily smiles at this and goes inside to offer her help. Mi Soo asks why Na Young came in and Na Young asks if Mi Soo is all right. Mi Soo confirms she is and then asks why the other girl is staring at her. Don’t they know one another? Mi Soo says she doesn’t think so as she recalls meeting Na Young for the first time at the company’s anniversary a year ago. Na Young then says that Mi Soo’s face looks like a person who has never experienced any dark clouds in their lives. Everybody experiences painful or hard things at least once. Mi Soo’s smile fades and she turns back to the punch. Those memories stay on people’s faces without them knowing it. Na Young then says Mi Soo’s countenance must be because of having such a loving husband. Mi Soo smiles. Does it look like that? Na Young then goes to ask about when Mi Soo was little, but they are interrupted by Min Jae’s arrival to take care of the tired Hae Ram. Upstairs, the two put Hae Ram to bed and Mi Soo asks if Myung Ja will be angry that Mi Soo didn’t buy her a separate present. Min Jae says that isn’t needed since Mi Soo throws the best parties for her mother-in-law. Everyone has been complimenting the cooking. Min Jae doesn’t think anyone cooks as good in Korea as his wife. This reminds Mi Soo that she needs to rush out and bring out more traditional punch. Meanwhile, Na Young goes into a room and puts the family picture of Mi Soo, her husband, and daughter face down. Outside, Baek and the thugs have arrived and are turning over tables. Mi Soo and Min Jae rush out as Myung Ja gets upset and asks what is going on. She turns to look at Mi Soo and angrily goes into the house. Mi Soo begs Baek to talk to her outside, but he throws her to the ground. Min Jae is livid—did Baek just hit his wife? Should they call the police. Baek scoffs at this. He smiles and tells Min Jae to call as he’ll just go to prison one more time. Baek then puts a piece of paper in Min Jae’s suit jacket and tells him this is a just a preview. Baek is giving him one week. After that, the CK employees will have quite the show to watch. Baek then calls for his men and they leave. Mi Soo cries and Min Jae tires to comfort her. Baek and his men leave while Yoon watches from around the corner crying in pity over his daughter’s misfortune that he helped bring. Min Jae goes into his mother’s room and Myung Ja immediately says that Mi Soo will only ruin their family—no—their entire company. Will Min Jae stay with such a woman now that all of this has happened? Min Jae asks what else he can do—abandon his mother’s daughter? Remarry? His mother’s insensitive answer? Why not? Min Jae tells his mother to stop that nonsense an take her pills. She needs to calm down. Myung Ja screams that she can’t. On her birthday of all days, punks come and make a big scene—how humiliating. Does he really expect her to stay calm when her daughter-in-law is ruining everything? Min Jae says that isn’t it, he’s just worried that she’ll faint again. He hands her the medicine and she knocks the bowl across the room against the wall. Mi Soo is downstairs doing the dishes and fighting back tears while upstairs Myung Ja is lamenting her horrible daughter-in-law from a poor family who can’t even produce a son. Plus, Mi Soo has her husband wrapped around her finger so he won’t even cheat on her. What a woman. 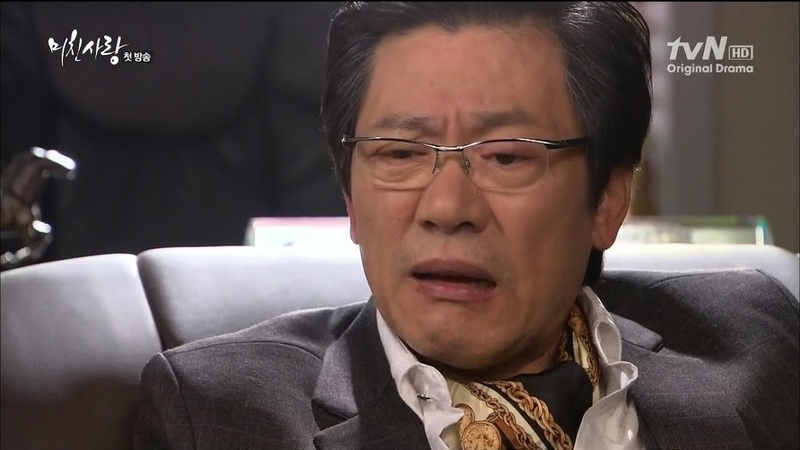 How would she like it if Min Jae’s father cheated on her because she couldn’t give him a son? Stupid double standards. Mi Soo looks a bit guilty (to me at least). Myung Jae then looks down “there” and wonders if her son has performance issues. Min Jae cannot believe this. He tells his mother to stop suffocating him and she says she will suffocate first. Myung Ja says she is willing to accept Mi Soo and pay off her father’s debts if only Mi Soo could give her a grandson. Is that too much to ask for? Min Jae says they can’t do the impossible and Myung Ja screams, wanting to know why it is. Why did he refuse “that woman”? Min Jae says he didn’t like it and there is only Hae Ram’s mother for him. So if Min Jae didn’t like that woman who had the good education and breeding, then she will find him another one. They’ll see who wins when there are women lining up to be surrogates for money (I thought surrogacy was illegal in Korea…). She then throws her covers over her head like a child. A noise is heard outside the door and Min Jae opens it to find a shocked Mi Soo who had dropped a bowl of water and a cloth for his mother. She asks what was meant by a surrogate mother—was he with someone else? Min Jae assures her that isn’t the case, but Mi Soo rushes into Myung Ja’s room and demands to know what her mother-in-law means. Myung Ja says wives were kicked out in the old days for not being able to bear sons. Mi Soo says that Myung Ja is a woman, too and shouldn’t do such things as trying to bring in a surrogate. Why not? After all Mi Soo can’t give her a grandson, plus she ruined Myung Ja’s birthday party. (How petty does that sound?) Mi Soo says that she knows she’s not in a position to say anything, but she really has tried her very best. This angers Myung Ja even more. She throws something at her daughter-in-law and says it should have been Mi Soo suggesting a surrogate in the first place. She then orders Mi Soo out of her room. Min Jae yells at his mother to stop as Mi Soo rushes crying from the room. Na Young is driving home and recalling the past. She used to be known as Sun Hee. The rich family that was supposed to be adopting her ended up adopting Eun Joo instead. The other orphanage kids wondered what had happened and one girl pipes up that she heard Eun Joo acted all cute just to get adopted. Meanwhile, the little boy who had played so happily with Mi Soo earlier cries as he softly says goodbye to the retreating car. So…Na Young had a crush on that boy, too? We then cut to see Sun Hee/Na Young desperately trying to see gum, but no one buys. Looks like she was adopted by a poor, abusive man. 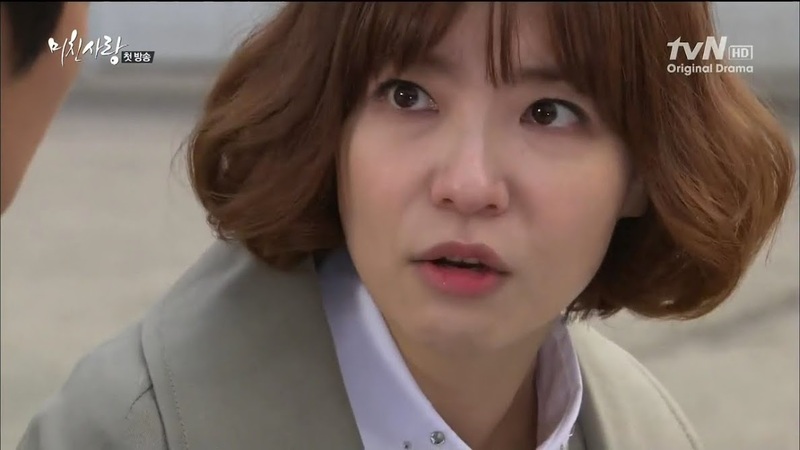 She blames Eun Joo/Mi Soo for her miserable life and vows to return all the hurt to her. Baek arrive at his apartment to find Na Young waiting for him. What is she doing there? Na Young asks why he lives like he does, smashing things and causing commotions. Can’t he live a quiet life like others? Why did he refuse her offer to help—does he think her money is dirty? Baek says he got his apartment thanks to the company, plus as a single man he doesn’t need a lot of money. He doesn’t need her help, she should just be concerned with herself. Baek goes to enter his apartment, but Na Young asks for coffee. He refuses as he has to change and leave right away. Na Young complains that he is too cold. He tells her goodbye and she wraps her arms around him. She then asks if he knows who Hong Eun Joo is. The Hong Eun Joo he liked so much at the orphanage—if he saw her again, would he be able to recognize her? Baek tries to pry her hands off, agitated. Why? Does he miss her that much? Should Na Young find her for him? What is this crazy lady getting at? Baek shakes her off and locks her out of his apartment. He throws his jacket angrily down on his bed and recalls her question about knowing who Hong Eun Joo is. 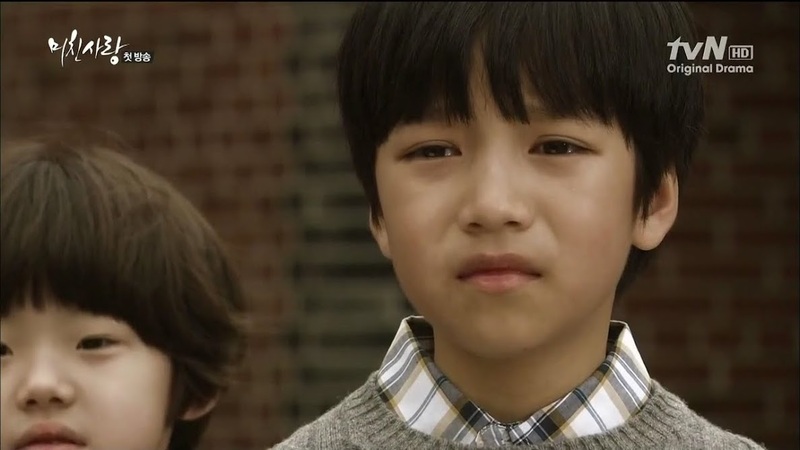 He closes his eyes and we flashback to him sneaking into the orphanage office looking for Eun Joo’s information. Looks like he switched the envelope so she could be the one to get adopted by a rich family. Back in the present, he holds a picture of the two of them and asks if she is doing well. Awww. A cold man with a soft, fuzzy spot for his childhood sweetheart. But you have to love this bitter irony. Na Young blames Mi Soo for ruining her life and stealing what was hers when in reality, it was thanks to Baek (whom Na Young pines for) that she didn’t get adopted into the rich family. You have to love, also, how one small act can create a chain reaction of sorrow and heartache for everyone involved. Na Young calls up Myung Ja who says that Na Young is the only one who cares for her. Myung Ja then complains about her horrible daughter-in-law throwing everything into chaos. Na Young asks after Min Jae and Myung Ja replies her son must be out drinking—why doesn’t Na Young try calling him. I hate these two women soooo much. 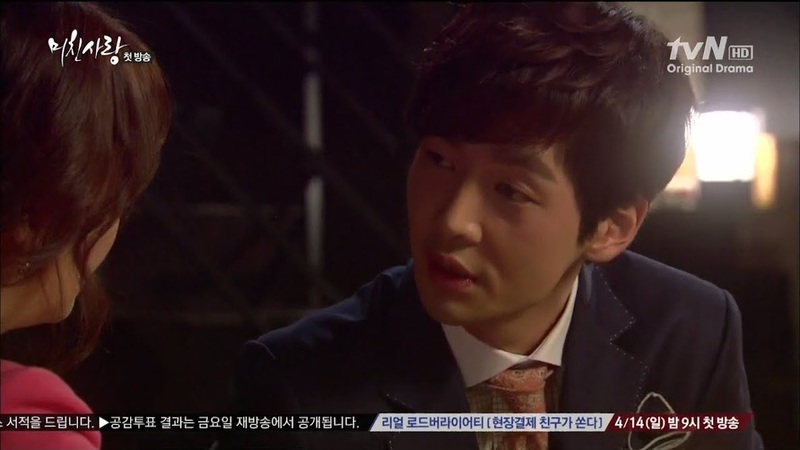 Na Young arrives at the bar where Min Jae is drowning his sorrows. She sits and pours him a drink. He asks what she’s doing there since he told her not to come. Na Young replies she didn’t think he really meant it since he told her the bar where he was at. D’oh. Min Jae scoffs. she does what she wants. Min Jae then asks what problem he has when he has a pretty wife, a rich mother, and an adorable daughter—what some men would envy. Min Jae states that perfect life is very hard. Is that because of his wife? Why doesn’t Min Jae just pay off all the debts then? Min Jae remains silent. Na Young leans closer and smiles. She asks if he wishes to go out with her as she is certain she won’t make his life as hard as Mi Soo makes it. Is she talking about a fling? It can be water he wants, whether it be love or a brief encounter, all Na Young wants is to be with him. What a load of crap as she’s still obsessing over Baek. Min Jae laughs at this. She’s a funny woman—does she honestly think he’d fall for her just because she said that? He’d never betray his good Mi Soo. If he did, he’d burn in hell. This only makes Na Young want him even more. At the Lee house, Mi Soo stays in her daughter’s room all night. She wakes up in the morning and goes into her bedroom, but no husband. She calls Min Jae who is sleeping in a hotel room. He answers the phone and Mi Soo immediately asks where he is. He wonders what she means and then Na Young comes out of the bathroom. He jumps out of bed and recalls drunkenly kissing Na Young the night before while she happily smirks at her victory. And that’s where this episode ends. Ah, this is supposed to be 100 episodes. I can only begin to imagine how painfully drawn out all this melodrama will be. But still… I find myself liking this drama for whatever reason. At least at the moment. What a tangled web. This is one of the best and most complicated yet. Is there really such a coincidence that entangles so many people’s lives? OMG, glad to know that I’m not the only one who loves this drama. This is a great drama and I do enjoy the actors and story. OMG this drama is so bad it’s so gooooood! I need to check into anger management rehab from all the cursing words that came out from my mouth from watching this show! I love the story, great drama and I’m playing catch-up coz I’m so behind! Don’t cheat! Don’t read ahead!! LOL. I tend to curse, too, but not nearly as much as I did during May Queen for some reason. Yet. Crazy Love?!! Totally appropriate title!! Not that I’ve found you! I will be reading though the comments! hi. Can I ask a question, Is the scene where The two then get out of their respective cars and begin running towards one another and embrace.is in the episode? what episode is it? kindly reply please THANK YOU! I hate to disappoint you but this is the only episode where you see that scene. I kept expecting it to show up again but it never did.